Bambo Nature is a green diaper with a high-end feel. This diaper earned the highest score out of 23 products for health tying with Seventh Generation, a less expensive green diaper. This makes it a notable diaper for parents who are concerned with health and limiting chemicals. This diaper performs well enough for absorption and leakage and has impressive eco-friendly aspects that helped it stand out from the crowd. Bambo is a healthy eco-conscious diaper and is a diaper we suggest families consider when looking for a baby healthy, green, disposable diaper. Bambo Nature diapers are an ecological and healthy option that performed well in most of our tests. Bambo is a family owned business run by parents dedicated to creating eco-friendly baby products that are healthy for your baby. Bambo believes that choosing safe, healthy, and environmentally responsible products shouldn't mean sacrificing performance. The company works hard to achieve and maintain environmentally responsible certifications working with Abena a Denmark company known for their environmentally sensitive manufacturing process. According to the Bambo website, "Bambo Nature was the first baby diaper in the world certified with the esteemed Nordic Ecolabel and EU Flower ecolabel." They are also members of the United Nations Global Compact. Bambo diaper is a green option that earned the highest score for health in our tests. This chart provides a quick comparison of the overall scores earned by each diaper we tested in this review. Bambo earned an impressive 4th place out of 23 products tested with the highest score for health in the group. The sections below outline the details of each metric we tested and how Bambo performed compared to the competition. Overall scores are based on metric results with a stronger emphasis on absorption and leakage because that is what a diaper needs to function properly. Bambo earned an average score for absorption indicating it can get the job done, but there are options that work better. Bambo earned a 6 of 10 for absorption which is just above the average of 5 for the group. In our previous disposable diaper review, Bambo earned a higher performance score for this metric. This could be a result of changes made to the diaper recently. This diaper had some moisture transfer to the test paper. It isn't a significant amount and is better than many of the diapers we tested, but any wetness on the paper indicates wetness that could be against baby's skin. Wetness on the skin could lead to irritation or diaper rash, especially if your baby has sensitive skin prone to irritation. That being said, only seven diapers of the 23 tested earned higher scores for this metric, making Bambo's results better than you might have thought on their own. Our testers indicate this is the one of the best for absorption even for overnight repeated wetting. The Bambo diaper had some run-off in the pan and more moisture absorption on the test paper than some of the competition. This diaper earned an average score for leakage with a 6 of 10. This diaper had a small amount of run-off during tests for leakage. Runoff indicates that liquid didn't absorb as quickly as some of the other diapers resulting in a potential for leaks. Also, some online reviewers indicated they experienced leaks as well. While online reviewers complained of leaks from the leg cuffs, we didn't experience this in our tests. Being able to absorb liquids and prevent leaks is what a diaper is all about so it would have been nice to see higher scores here. However, only nine other options scored higher out of 23 diapers, so it isn't that your Bambo diaper will fail to perform. We think the trade-off of the occasional leak is worth it given the impressive health and ecology scores of this diaper. The inner liner and back of the Bambo are soft and very skin friendly. Bambo earned a 7 of 10 for comfort which is average for the group. The high in this metric is 9 with about nine other diapers scoring higher. However, within the top four products, only Babyganics earned a higher score for comfort with an 8, indicating that comfort doesn't translate to functional. Bambo uses bamboo for the back fabric and inner liner. The fabric is soft, and the motion points are skin-friendly with no roughness compared to the competition. The Bambo diaper is a comfortable option with a soft fabric-like inner liner. The elastic on the sides and back aren't our favorite, but the rest of the diaper is cozy. Testers liked the higher back for keeping poops contained and felt the inner liner was soft and very skin-friendly. Bambo diapers are a healthy choice for little ones with the highest score in the review for health features. Bambo earned the highest score in our tests for health with an 8 of 10. Only Seventh Generation diapers earned as high of a score with Nature Babycare coming in second place with a 7. This is pretty impressive. Bambo has made strong efforts to provide a baby-friendly diaper with as few additives and irritants as possible, so you get the safest disposable diaper possible going against your baby's skin. Bambo also provides one of the most transparent ingredient lists we have seen, and we are impressed by the amount of knowledge they provide to help consumers make informed choices. This diaper is free of chlorine, latex, lotions, perfumes, dyes (though it uses pigments on the waistband), deodorants, phthalates, organotins, heavy metals formaldehyde, PVC and more (see video below at 0:55). If knowing what is in your baby's diaper is your thing, you'll be more than pleased with the disclosure and clarity provided throughout the Bambo website. Bambo is a more eco-friendly option than some of the traditional options we reviewed. Bambo earned a 6 of 10 for ecological, which is 2 points higher than the average. Only three products scored higher. Bambo is a "green diaper" that is making greater strides than the average diaper to create a product that is easier on the Earth than most disposable options. They do offer a full disclosure list, and they include what best practices they use during the manufacturing process. Bambo uses a Denmark manufacturing company that has the coveted Nordic Swan endorsement which is hard to earn and keep and means they are living up to a certain standard that limits their impact on the environment. We love this! Some online reviewers indicated faulty tabs on the Bambo diapers. Bambo earned a 6 of 10 for durability, which is the average score for the metric and group. This diaper isn't the most durable in the group, but given the lifespan of a diaper, it doesn't necessarily need to last forever. 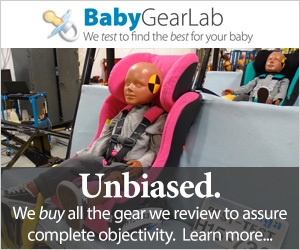 Online reviewers had complaints of faulty tabs and the diaper falling apart. Even with an overly full diaper the Bambo kept it together in our tests. We didn't experience that during testing, but we also recognize our testing period and the number of diapers is lower than the average time your baby will be in diapers, so it is important to consider outside experience. Our testers indicated that the diapers held together well even under intense wetting overnight. In fact, testers felt these diapers held together better than the competition. More information on how Bambo diapers and made and what they do and do not contain.